Fully certified EHR: Ambulatory and Inpatient; CPOE, e-Rx, document management, charge capture, lab orders, drug formulary and interaction checks, document management. Creates a patient chart: In just a few clicks, share records securely and generate electronic referrals. 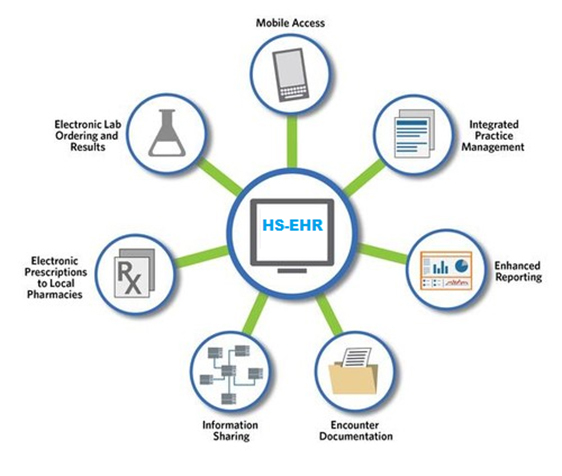 Web based, enterprise grade EHR: Allows local data store for offline access. Built in Medical drawing tool -Annotate medical images. Highly customizable: Flexible data entry options-combines intelligent structured forms, template and free text. Disease Management Support: Built in disease specific flowsheets to track problems and generate trends. Chronic disease flow sheet for tracking multiple chronic conditions and medications. Chronic disease decision support and algorithms. Highly Specialized Algorithms: Over 400 Medical algorithms and calculators built in for hematology/ oncology, cardiac surgery, neonatology etc. Patient portal: Grant electronic access to patients to view their medical record. Meaningful Use: Update and review problem lists, allergies, physical exam, immunizations, medication lists. Graphic views of vital signs and lab results included. Enter and review test orders, manage and review test results.